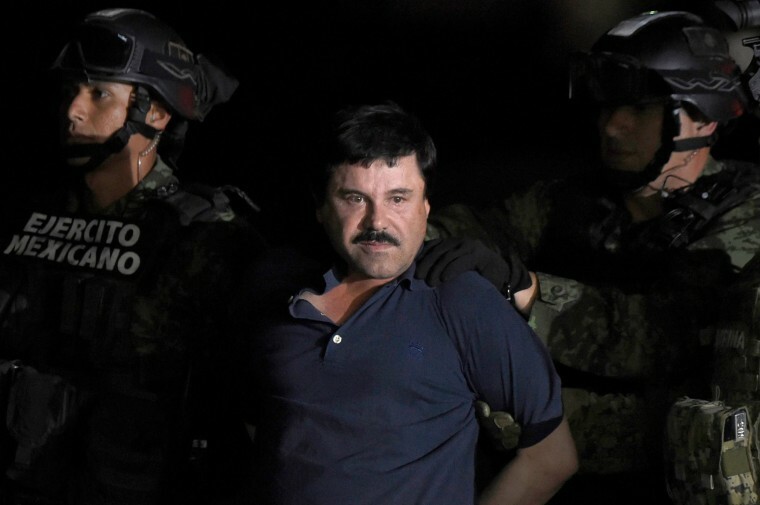 Feds: 'El Chapo' used a tunnel hidden under a pool table to run drugs. Before he was "El Chapo," Joaquin Guzman Loera was known as "El Rapido" — the fast. Evidence presented to jurors in Guzman's drug trafficking trial in a New York federal court got to see why on Wednesday. Salazar described raids carried out on both sides of the border in May 1990, and narrated a video tour of one tunnel between Agua Prieta, Mexico and a warehouse in Douglas, Arizona. The tunnel was half the length of a football field and big enough that a 5-foot-8 inch man barely had to lower his head to walk through it. It had electric lights and a hydraulic system to lift away flooring that was covered by a pool table. Inside the tunnel, there were carts that were used to speed along tons of cocaine across the border. Those tunnels — and his success delivering drugs quickly with airplanes — earned Guzman the nickname "El Rapido," prosecutors said during opening arguments Tuesday. He went on to expand his network with more tunnels, more planes, and even submarines, Assistant U.S. Attorney Adam Fels said — fending off competitors with an army of assassins. Guzman's lawyer had countered that his client had been framed — a stance the judge said he'd taken too far in his opening argument. Guzman attorney Jeffrey Lichtman had sought to finger Ismael "El Mayo" Zambada, another reputed drug trafficker in the cartel's leadership. Zambada remains on the loose in Mexico, Lichtman claimed, because of bribes that "go up to the very top," including hundreds of millions of dollars paid to the current and former presidents of Mexico. In a court filing overnight, prosecutors urged Judge Brian Cogan to throw out Lichtman's statement, saying he made wild allegations he could not prove. The judge didn't go that far, but he did admonish Lichtman for having gone "far afield of direct or circumstantial proof." He said he would instruct the jury to focus on the evidence. "Your opening statement handed out a promissory note that your case is not going to cash," the judge said, calling Lichtman's opening misleading. Lichtman said his client was not the real leader of the cartel - he was just someone who enjoyed having an oversized reputation. "This is a case that will require you to throw out much of what you were taught to believe in about the way governments work and how they behave, governments in South and Central American and Mexico and even the United States," Lichtman said. "This is a case which will require you to open your minds to the possibility that government officials at the very highest level can be bribed, can conspire to commit horrible crimes— that American law enforcement agents can also be crooked." A spokesman for Mexico's President Enrique Pena Nieto called the allegations by Guzman's defense "completely false and defamatory." Former President Felipe Calderon dismissed them as "absolutely false and reckless." Lichtman resumed his opening statement after his tongue lashing by the judge Wednesday. He described the government's witnesses as liars seeking a break on their own jail sentences - the "sneakiest, slimiest people." "These are people who have lied every day," he said. "They're here because they want to get out of jail by any means necessary." One of those cooperating witnesses took the stand at the end of the day — Jesus Reynaldo Zambada, the younger brother of "El Mayo." Zambada testified that he'd been a member of Sinaloa Cartel for over 20 years, and worked with both "El Mayo" and "El Chapo." Guzman, he said, "was one of the most powerful drug traffickers." Zambada quoted his brother as telling him he and Guzman were "half and half." He is expected to testify all day on Thursday.